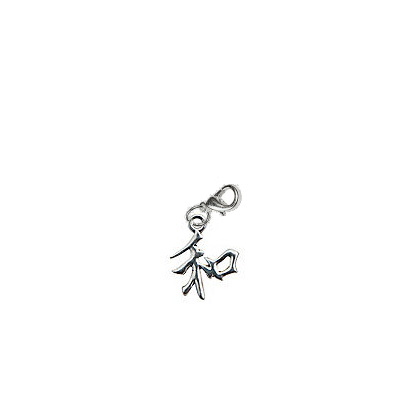 This Chinese sign of peace charm is a silver metal charm which is 0.82" tall. Give this peace charm to a bowler who needs some pecae in their game. The Chinese peace charm has a metal lobster style clasp.